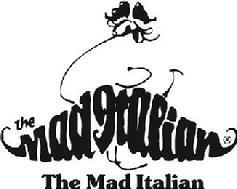 For more than 40 years, The Mad Italian, has strived to bring the freshest and best tasting food to your table. We specify the highest quality without regard to price and we take pride in what we serve. We are convinced that our effort to make our own Meatballs, Sauces, Soups, Salad Dressings, Cheesecake Brownies and other items is appreciated by our many fans.